Having heard the stories of many classic car enthusiasts over the years, I find there are some common themes. The most consistent is stories about glory days from high school, the cool cars and unforgettable times with friends. Perhaps it’s due to being highly influenced in our youth, or the heightened need to be “cool” and fit in but one thing is unmistakable, many enthusiasts want to “relive their youth” in a classic car, and that finds them yearning for a car that influenced them during that stage of their lives. 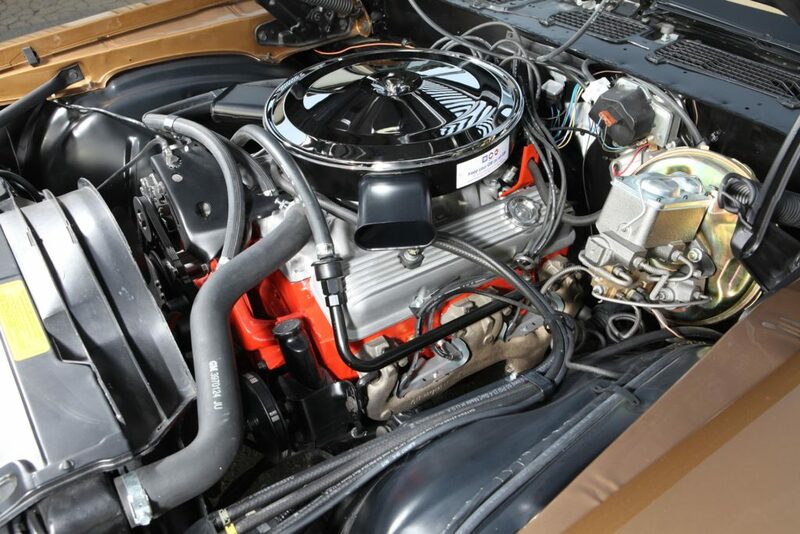 So is the case with Frank Cohenour and his love of early 70s cars, and even more precisely, the 1970 LT1 engine. Back in his Frank’s younger days, his buddies all drove cool cars including Frank himself in the form of a 1973 corvette. 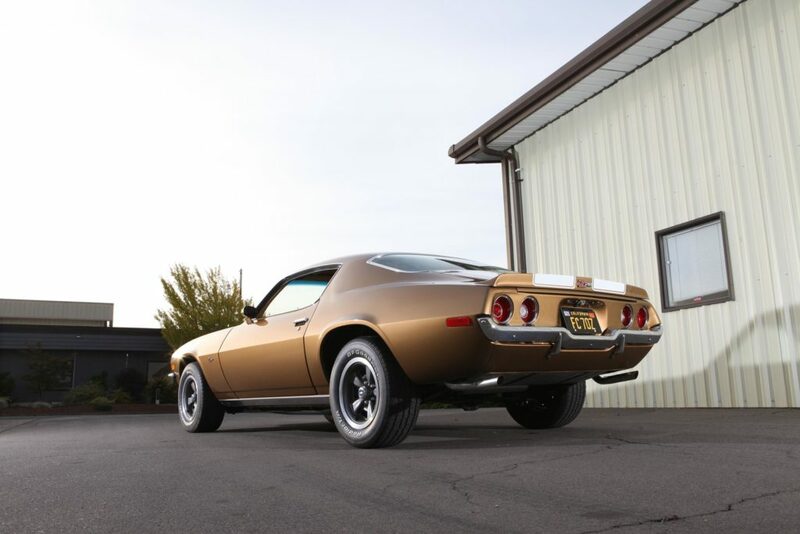 Of the posse of cool rolling American muscle, a stand out in Frank’s mind was a 1970 Z28 with an LT1 engine. LT1 powered cars were definitely some of the fastest around, combining a high-strung small block with the great handling of the Z28 package. Growing up in Southern California and making a run to Mulholland Drive in L.A. or out to the Sunrise Highway in the east county of San Diego required a car that handled and performed. 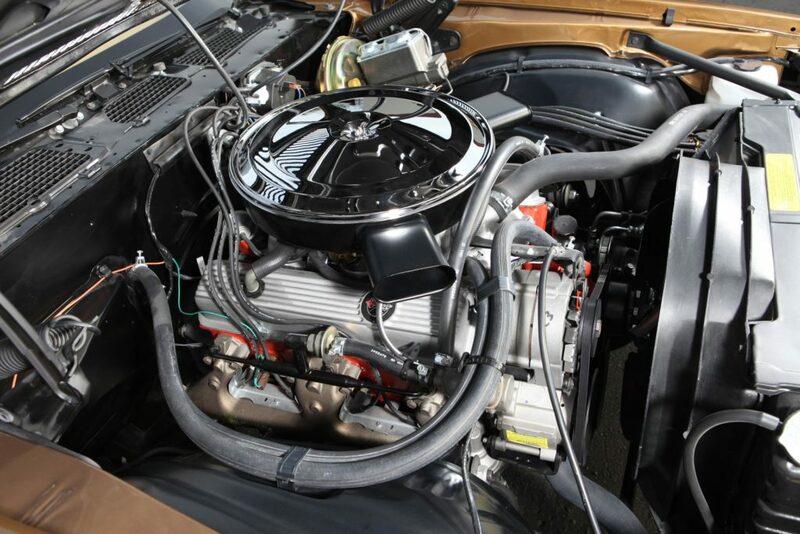 Frank loved the LT1 so much so that he tried to replicate the motor in his 73 vette. Sadly, as a poor college student commuting back and forth between San Diego and L.A., he could never afford the high-end internals and high-compression requirements of the thoroughbred LT1 motor. Skip ahead a few decades after a successful career and raising a family, when Frank receives a phone call from a friend regarding a Craigslist ad for an untouched 1970 RS Z28 Camaro with its coveted LT1 still hiding under the hood. 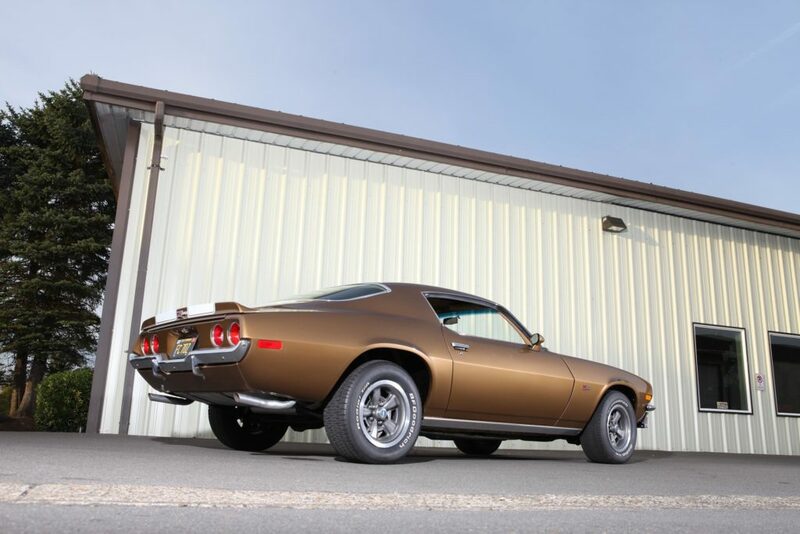 Frank fell in love with the unmolested, #s matching Camaro…even the factory color spoke to him. 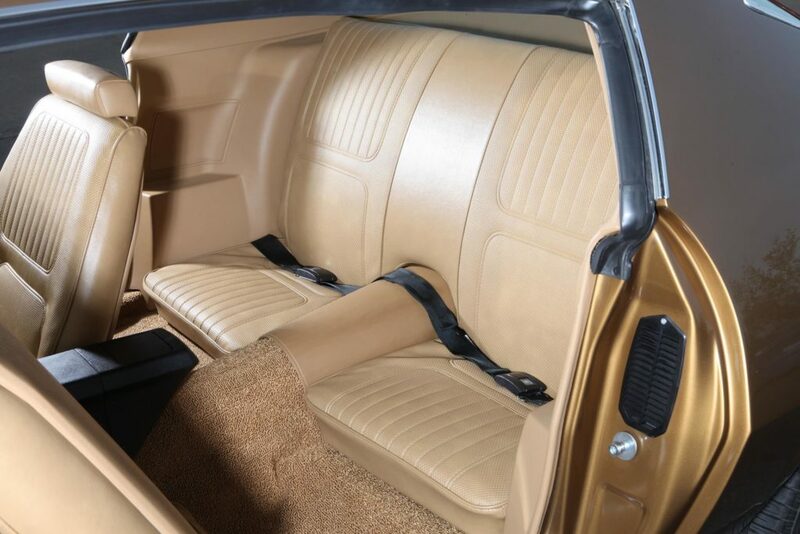 The more Frank heard about the car, like the fact that the LT1 still had its factory smog pump, and stock exhaust manifolds the more he felt almost obligated to purchase the car to ensure that its future was secured. Frank didn’t want to see the car end up with an LS engine, and 4 wheel disc brakes, not that he has an issue with that style of build, but this was just not the car to modify in such a way. They only made this version of the car for ½ of a production year and to modify such a solid survivor would just not be right. 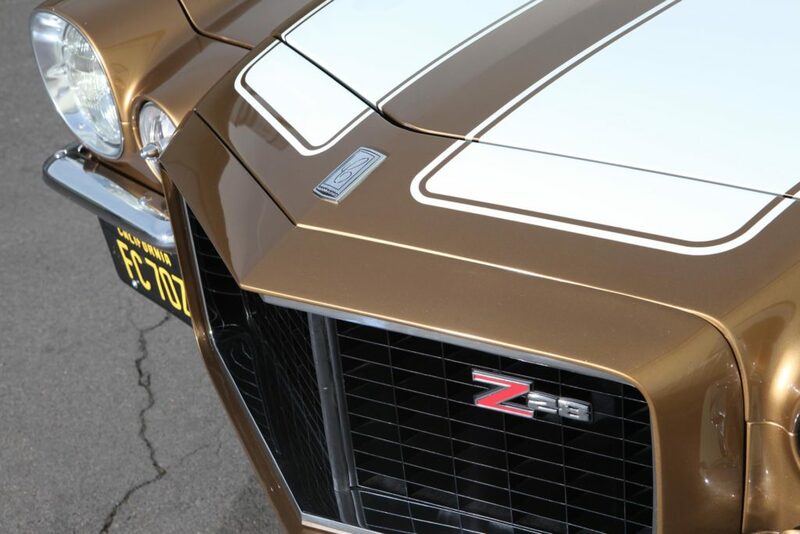 Frank made the deal, and the Z28 was his…a long time dream fulfilled. Once in his possession, Frank began to seek out a shop to carry out the Camaro’s restoration as a retirement gift to himself. 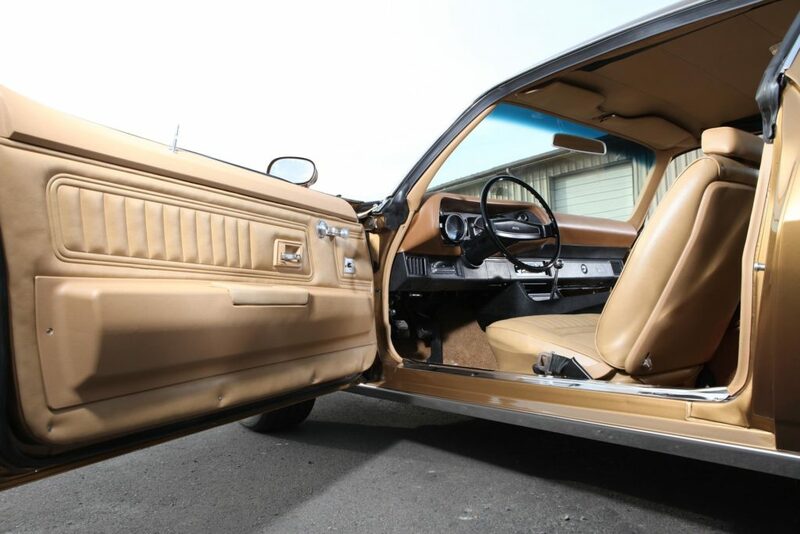 A detailed search led him to MetalWorks Classic Auto Restoration in Eugene, Oregon. One of the major draws to the shop for Frank was their highly detailed documentation of their top-notch restoration work. Frank recalls, “I remember talking to Jon Manilla the owner after he’d reviewed the extensive set of photos I’d sent. We talked at length about the shop and Jon’s philosophy around running a top-notch operation. 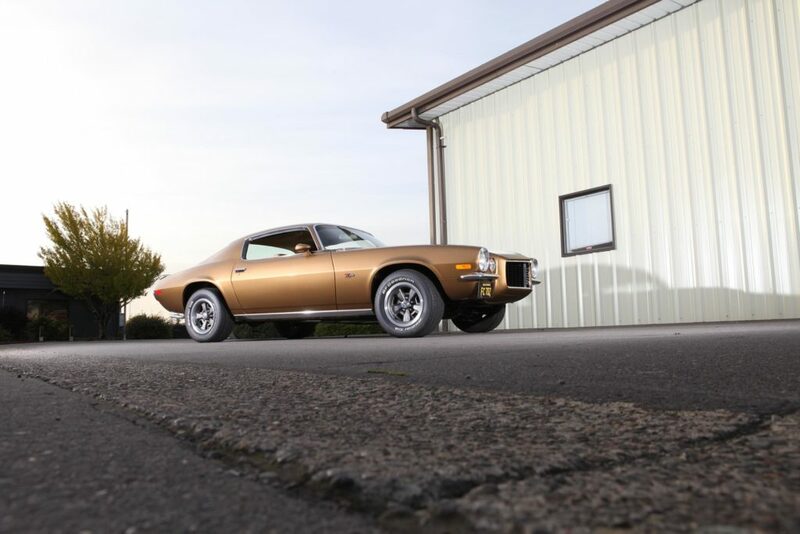 When he said to me that we need to restore this car exactly back to the way The General intended…I knew I had chosen the right shop.” Frank felt as if he was right there watching the process unfold while viewing the shop’s website. It was very comforting knowing he and all his friends could see exactly what would be happening with the Z28. 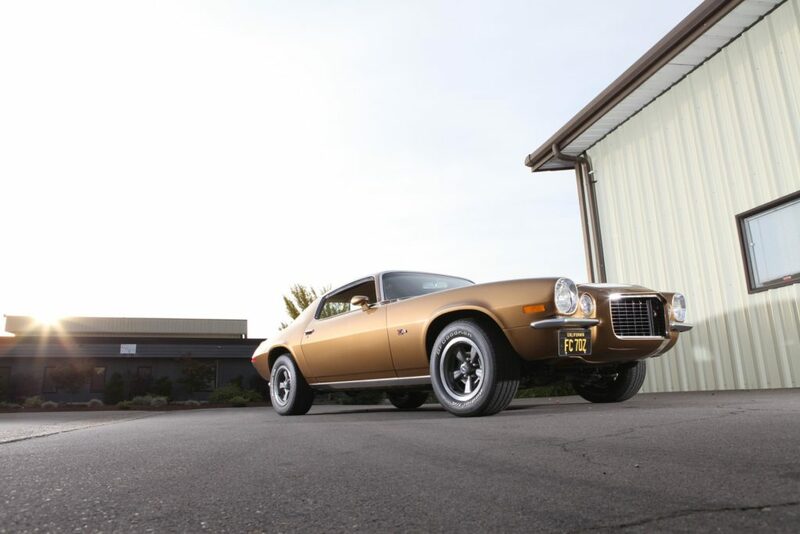 The Camaro was delivered to MetalWorks, and the crew got busy performing an OEM restoration. After a carefully documented and labeled tear down process, the Camaro was sent to MetalWorks’ acid dipping facility where all paint and rust would be removed. Acid dipping to ground zero is how the crew at MetalWorks begins all of their full restorations, and makes a perfect starting point for any needed metal work. The Camaro’s sheet metal under its mostly original paint was in great shape, but did require one rear quarter to be replaced due to previous damage that was revealed after acid dip. 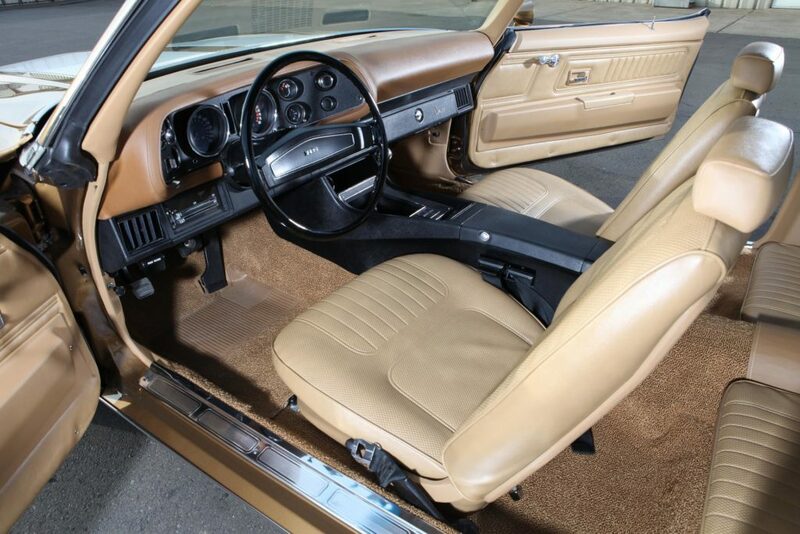 The rest of the restoration progressed very smoothly through body work and paint where the massaged body received coats of factory Autumn Gold paint. The engine was sent to local builder Springer Performance and Machine where it received a full rebuild. Once the short block was back at the shop it was painted and reassembled, then the flat tappet cam ran in before the engine was installed into the restored front stub. The restoration process continued in harmony through MetalWorks’ well organized and systematic process. 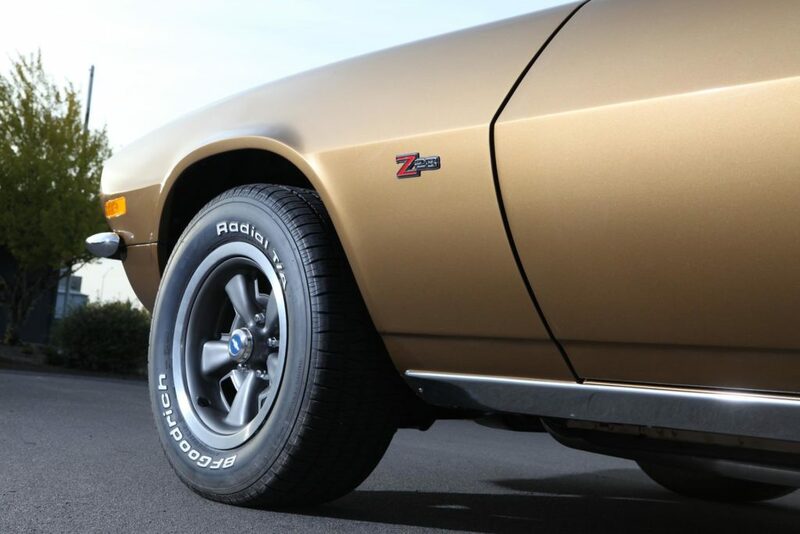 The Z28 was taken back to original specs with only a handful of upgrades being performed to add to Frank’s driving experience such as coating the inside of the body with Dynamat sound and heat deadener. 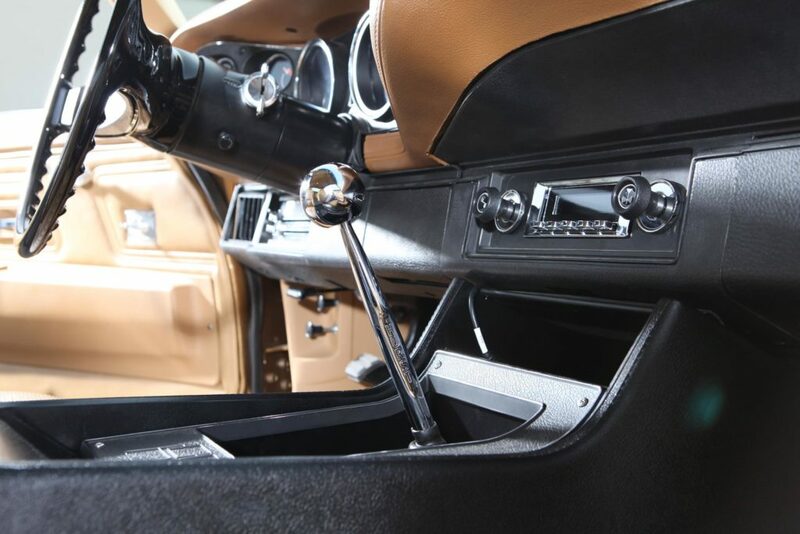 A 2nd addition was a Retro Sound radio mounted in the dash which retains a classic look, but allows for modern functionality. As I write this, Frank is ready to take possession of his freshly restored 1970 RS Z28 that he has dreamed of owning since high school. I can already picture him cruising the California coast with the LT1 rumbling under the hood…ahhhh, to be in high school again. Ha ha, well maybe not, but either way, Frank now has his high school dream ride to enjoy into his retirement years, and that sounds like a winning combination.